The complete music of the album Somnambulistic Tunes was inspired by Robert Wiene's Das Cabinet des Dr. Caligari, a 1920 German silent horror film, considered to be one of the most influential of German Expressionist films and one of the greatest horror movies of the silent era. 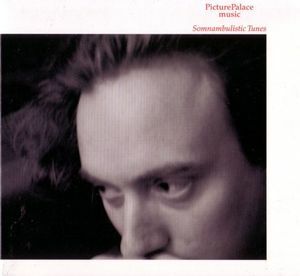 Unlike most later releases by Picture Palace music, this album is almost a solo recording by Thorsten Quaeschning, who has composed, arranged and performed the complete music, except being supported on guitar and saxophone by two other musicians on just three of the 17 tracks. Recorded back in 2004, the music was finally released on CD by the Berlin based Manikin Records label. In July 2009 it became available as a download release as well.